You need a team you can trust to give you the attention you deserve. We know our community well and have a deep understanding of the market to determine which loan is right for you. Refinance with us and save thousands on your mortgage. Completely online experience. No paperwork! Self-Employed or 1099? We offer Bank Statement Only programs! No tax returns, No pay stubs needed. Free In-Home MyPrime Concierge Service. Never leave the comfort of your home! With a personalized approach, we’ll always put your needs and goals first. We specialize in purchases, refinancing for a better rate or to get cash out, reverse mortgages, investment properties and more. Your dream home is a reality. Let us guide you every step of the way. You’ll get a one-on-one experience with us to get a personalized loan that’s perfect for you. Whether you’re looking to pay off debt, make home improvements or more, let us help you save thousands on your mortgage payment. Plan for retirement the right way. We’ve teamed up with the finest and most responsible investment advisors to help you plan for retirement, take advantage of your home’s equity and turn it into cash flow. Whether you want the lowest rate possible, comprehensive guidance, a team you can trust or need a more complex financing package, we realize your situation is unique and we’ll work with you to structure a loan you’ll be very happy with. We’re available 24/7 to chat. 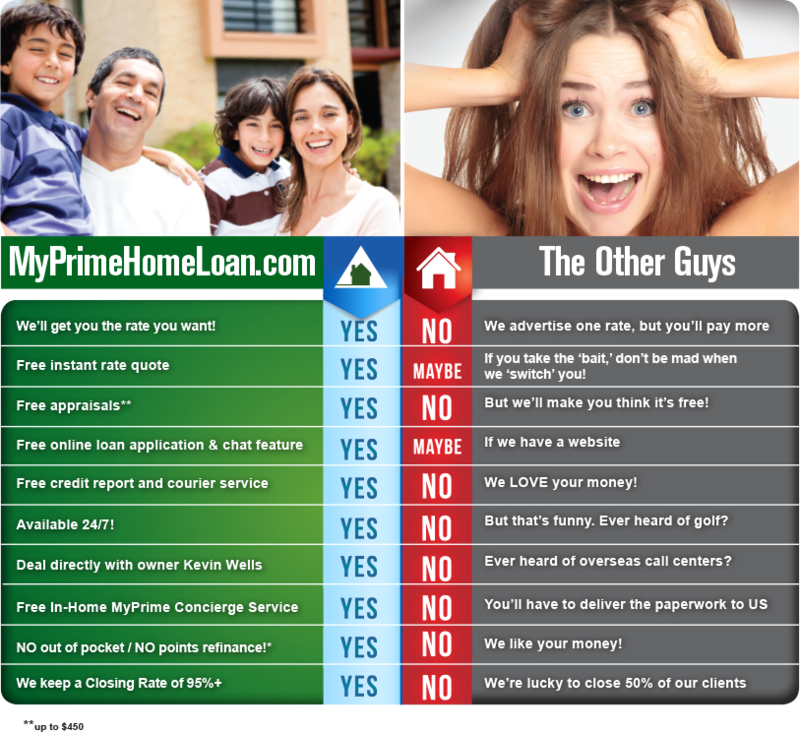 Our team at MyPrimeHomeLoan.com is constantly striving to give our customers the best experience when it comes to home financing. Read why our service is unmatched by other mortgage providers.